By default, wMobile already has a few search fields configured but allows its users to modify their searching capability by adding and/or removing Quick Search fields. 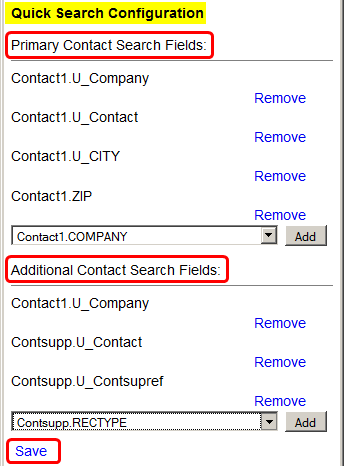 These modifications are saved on a per user basis meaning that users will have their own individual search fields selected to be used when searching for contacts. One user may prefer using a specific phone number field while another may prefer the company or contact's name. The Quick Search fields may also include GoldMine user-defined fields which can provide a lot searching choices. 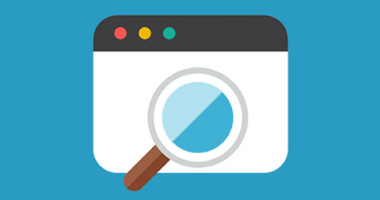 When a Quick Search is performed, all of the fields that are configured will be searched, making this quite powerful and customizable for the way you work. While the Quick Search performs similarly in both Phone and Desktop editions, the user interfaces are different so we'll show you how to configure both starting with the Phone edition. To remove an existing field from being included in a search, click Remove. 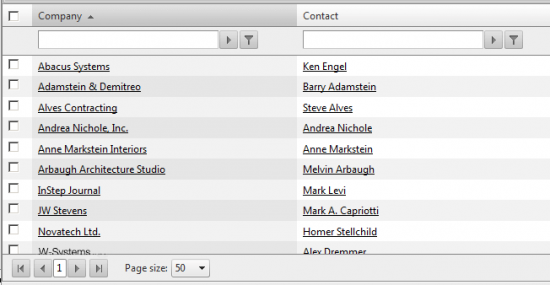 To add a new search field, select the field from the choices in the appropriate drop-down and then click the Add button. After making these changes click Save toward the bottom of the page and you'll be returned to the My Preferences page. NOTE: Some fields appear with a "U_" preceding the field name (e.g., Contact1.U_KEY5). If one of these fields exists for the field you would like to search on, it is recommended to select the field prefixed with "U_" instead of its namesake field as this speeds up searches because the fields beginning with "U_" are indexed within the database. To remove an existing field from being searched, remove the tick from the checkbox. To add a new search field, place a tick in the appropriate checkbox. After making these changes click OK at the bottom of the dialog. Now that you've got Quick Search configured for Phone and/or Desktop we can move onto running some search examples. When searching for contacts you may optionally type "all" or just a "part" of a text string to be searched for into the Search field. 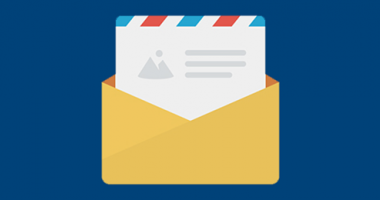 A "text string" is simply the set of characters (letter, numbers, etc.) you will type into the Search field to be searched for. Also keep in mind that Quick Search is not case sensitive and that all of the fields you've configured will be searched. In the following example, let's assume that the Contact, Company, City, and Zip fields will be searched as shown in the configuration below. Please note that in these Quick Search examples, we're showing the text strings in double-quotes (") for clarity but you will not include the double-quotes when entering your text string into the Search field. The more text you enter to search for, the more precise the results, if any are found, are returned to you. So if you are looking for an exact name, type the whole name. If you know only part of the last name, type only that part. 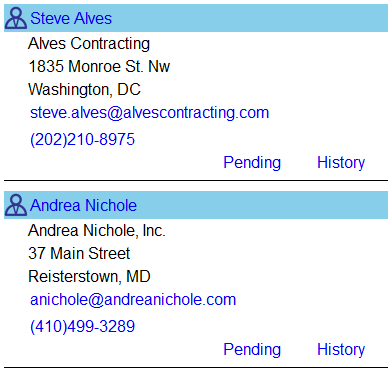 Example #1: You are searching for a man named Steve Alves in your database. If you type "Steve" (remember to exclude the double-quotes) you will get all records that have "Steve" anywhere in any of the search fields. In my database I was returned two records. 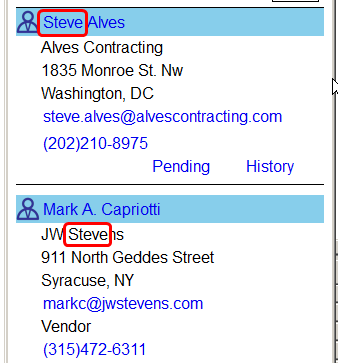 You can see where it found "Steve" in the contact field (Steve Alves) and it also found "Steve" within the company field of a different record where the company is: JW Stevens. Had there been a record in the test database and the city value was "Stevensville", (or where "steve" was somewhere in the name of the city) it too would have ended up in the results. Example #2: You are searching for a company name containing "ste". Now you've learned how Quick Search works and what you can expect so now you can go into your copy of wMobile and try it for yourself! Go to the Home page by clicking Home or by clicking on the logo at the upper left hand corner of any page. At the top of the page is the Quick Search field. 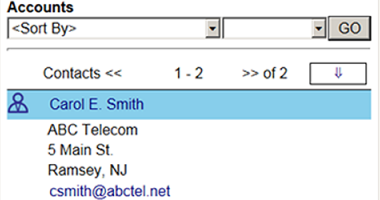 Type a value matching what you expect to find using any of the fields in your Quick Search configuration. Choose whether you are going to search for Primary or Additional contacts and then click Search. For Desktop, at the upper right-hand corner of the Desktop window is the Quick Search field. 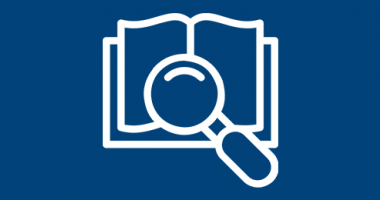 Type a value matching what you expect to find using any of the fields in your Quick Search configuration and then click Search. Hopefully this tutorial will help you master Quick Search and enable you to access your contacts faster. If you are new to wMobile (or an expert already), please know that searching does not change your data so you can try this as much as you'd like to become familiar with how it works and become comfortable using it. 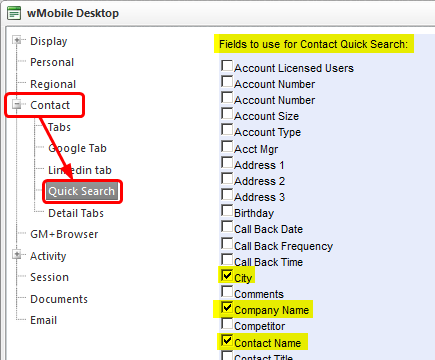 Make Quick Search in wMobile work best for you!